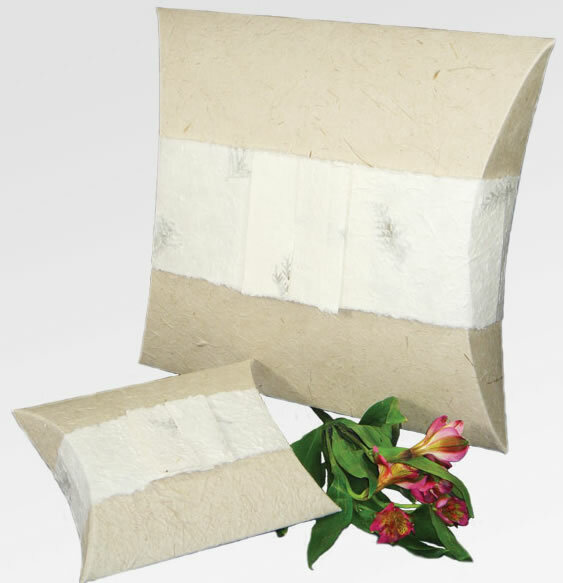 The Natural Journey Urn is beautifully fabricated from sustainably produced and biodegradable paper. This design design features a soft biege colored urn with a white center wrap that has embedded green ferns or leaves. Click on Detailed Images to see a close-up view. Suitable for ceremonial use, or for a water or land burial. It can also be used to transport your loved one's cremains to a scattering location. For water use, the urn is engineered to float for approximately five minutes before gracefully descending to the depths of a lake or the ocean. For land use, it will biodegrade naturally over time. A biodegradable plastic bag is included. Adult: 14" x 12" x 3" and has a volume of 220 cu. in. Child/Keepsake: 8" x 6.5" x 2" and measures 60 cu. in.